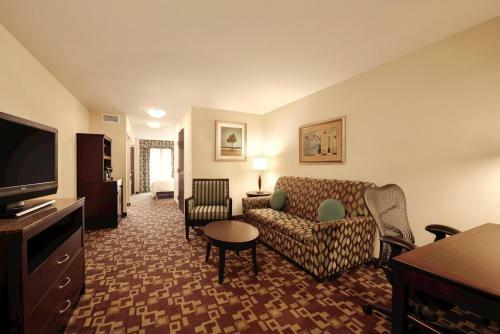 Rooms from $116.75 per night. An indoor pool and hot tub free Wi-Fi and well-equipped rooms with microwaves refrigerators and HDTVs make the non-smoking Hilton Garden Inn Warner Robins a comfortable haven in the heart of Georgia. 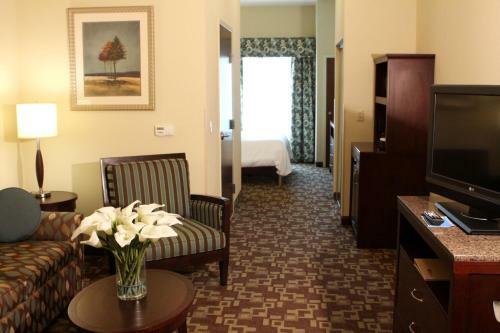 The completely non-smoking Hilton Garden Inn Warner Robins offers 91 rooms on three floors. Each room is dialed in with a microwave refrigerator and coffeemaker GÇö kind of like having a mini-kitchen in your room. 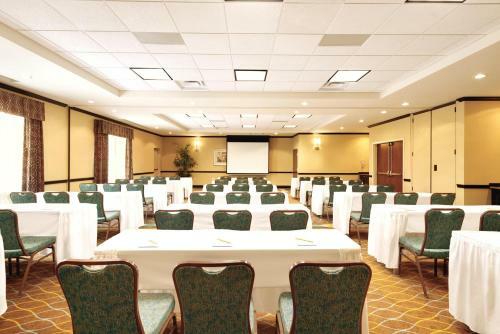 Rooms also feature free Wi-Fi 32-inch HDTVs adjustable beds and work desks with ergonomic chairs. 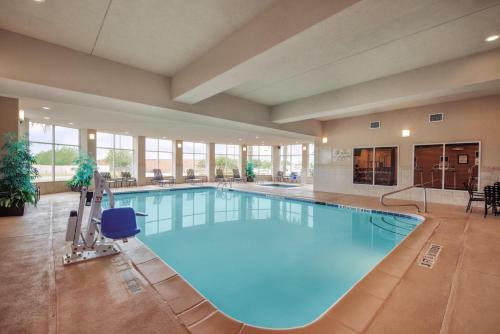 The indoor pool and hot tub provide year-round splashing fun for guests of all ages. 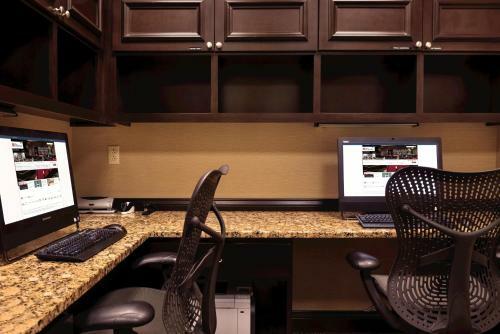 The 24-hour business center keeps road warriors on track. 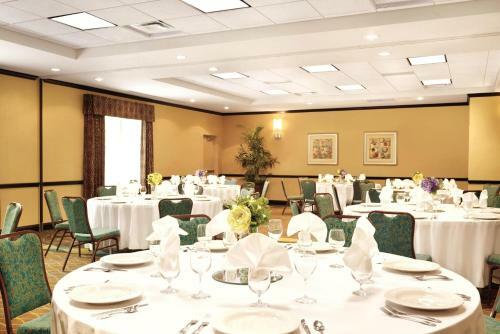 The on-site restaurant serves breakfast lunch dinner and evening room service. 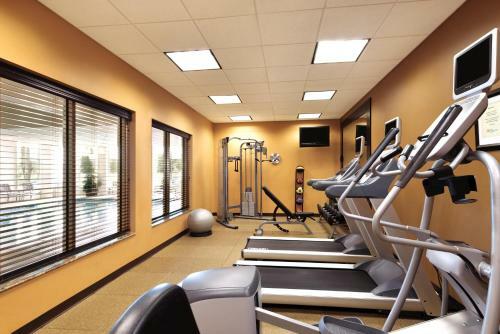 There is a fitness center on-site. Parking is free. 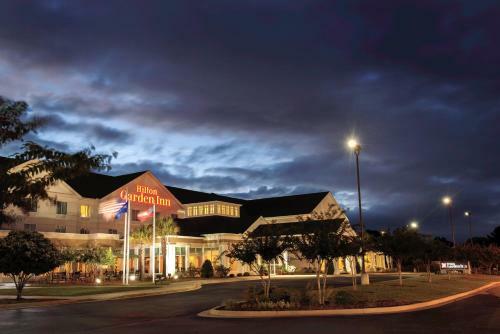 The Hilton Garden Inn Warner Robins is situated five miles east of downtown Warner Robins within walking distance of lots of restaurants plus grocery stores where you can stock up on goodies for your in-room kitchenette. The Galleria Mall a half mile away offers plenty of opportunity to shop till you drop and a movie theater for down-time entertainment. 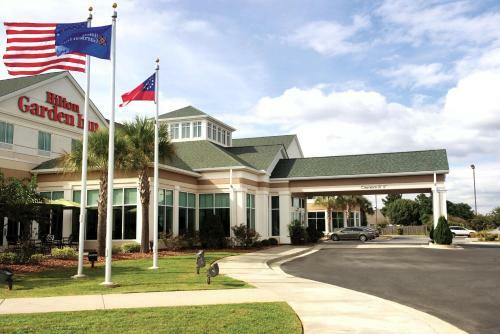 The hotel is six miles from Robins Air Force Base and Middle Georgia Regional Airport. 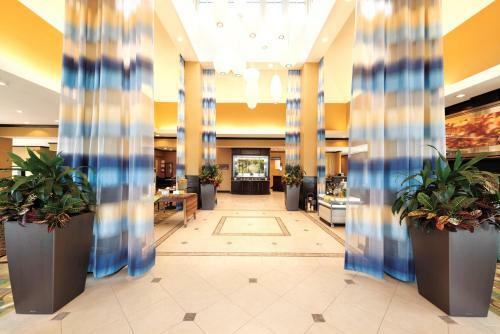 Add Hilton Garden Inn Warner Robins to your free online travel itinerary.